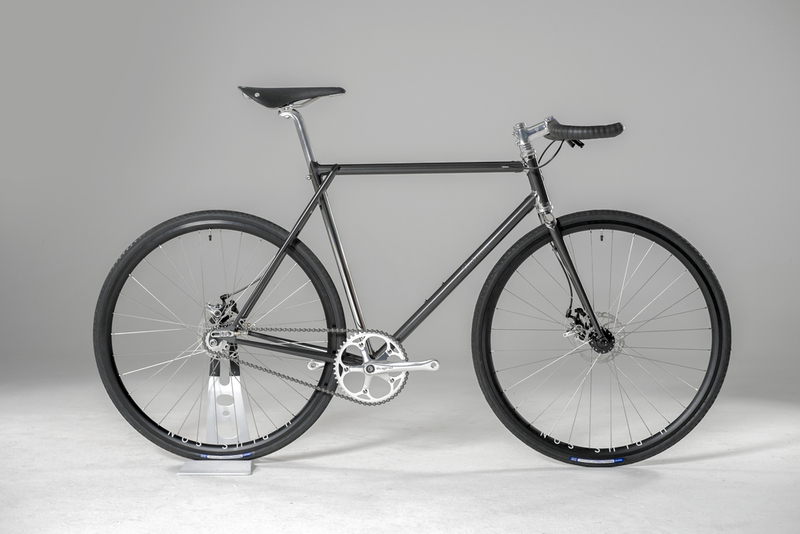 Richard lives in Singapore and wanted a commuter that could withstand the humidity and sudden downpours of the Country. 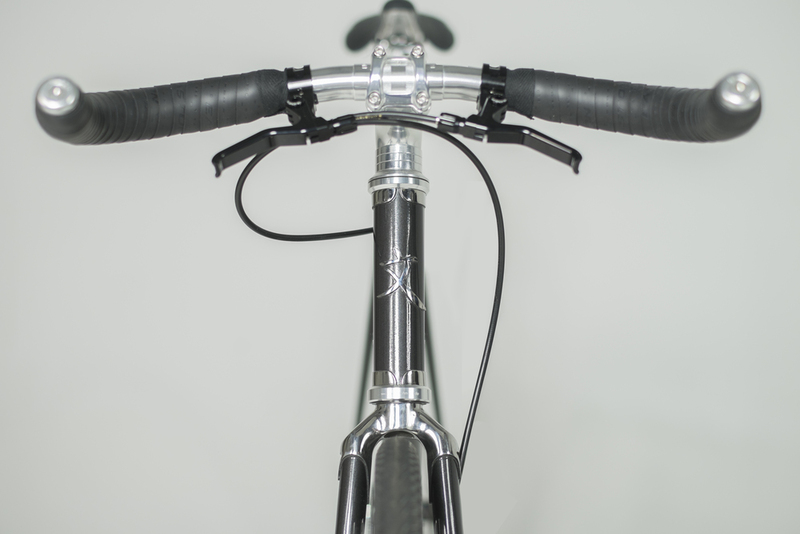 Stainless steel was the obvious choice along with disc brakes for effective wet weather stopping. 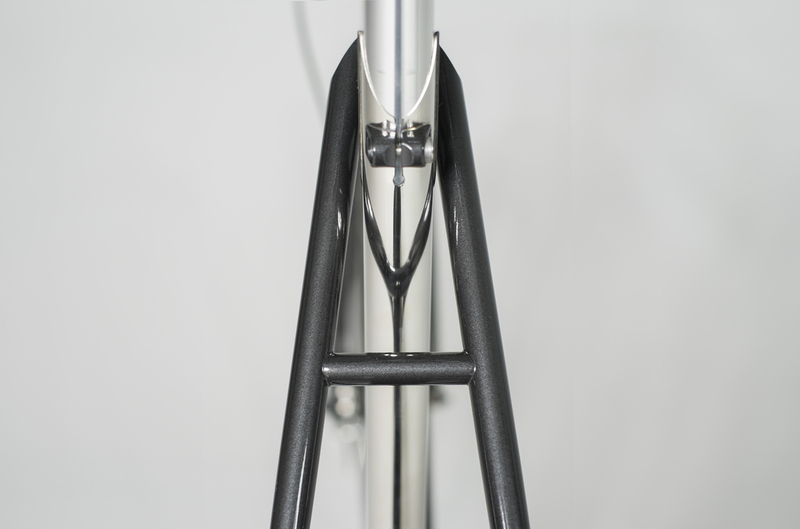 The frame has stealth lettering in a matt lacquer and stealthy internal cable routing into the top tube and through the seat stay. 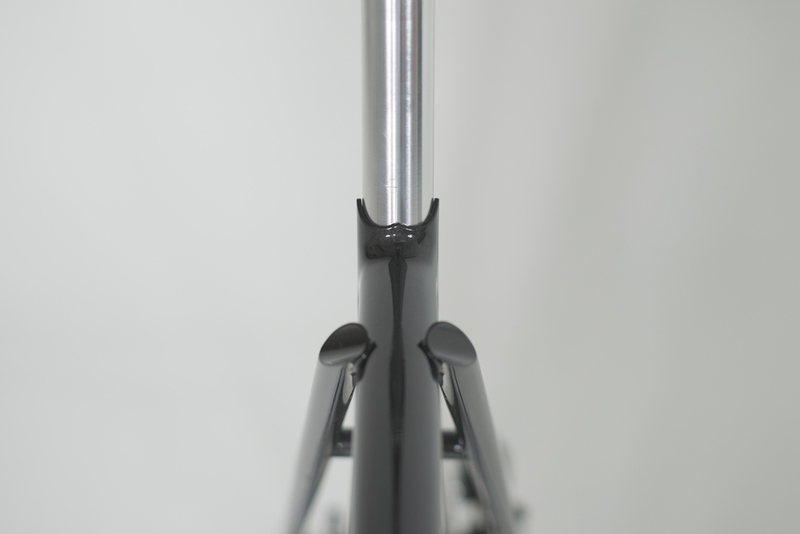 There is a half bi-laminate shield connecting the top tube to the mirror polished seat tube.